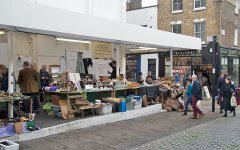 Camden Passage companies have two market sites (Charlton Place Market and Pierrepont Arcade Market), each with approximately 20 stalls. 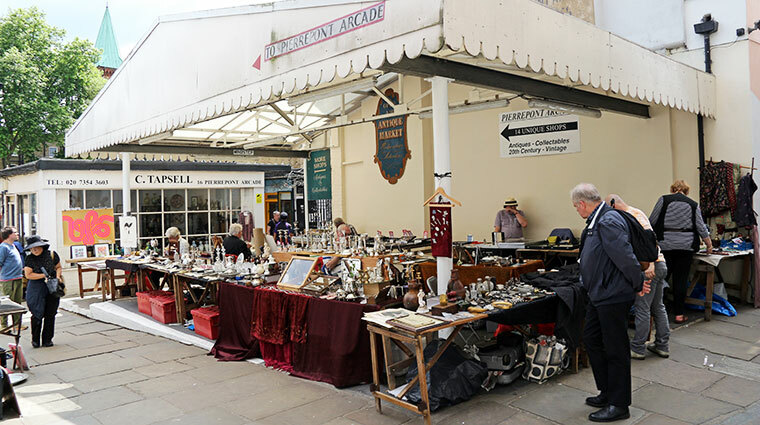 Antique market days are currently Wednesdays and Saturdays with a book market on Thursdays and Fridays and general collectables markets on Sundays. The markets are covered by a roof, well lit and each stallholder is provided with a trestle table (approx. 6ft x 3ft). It is advisable to bring your own seating. We hold public liability insurance but this does not cover your goods or damage to the public by your actions; this you should insure yourself. The Company is anxious to maintain the quality and variety of antiques sold on the market and, whilst we recognise that some reproduction goods will be displayed, we ask that these should be clearly marked and sold as such. The market on Wednesday is in place by approx. 6.30am and is usually in full swing by 8am, most dealers having left by about 3.30pm. 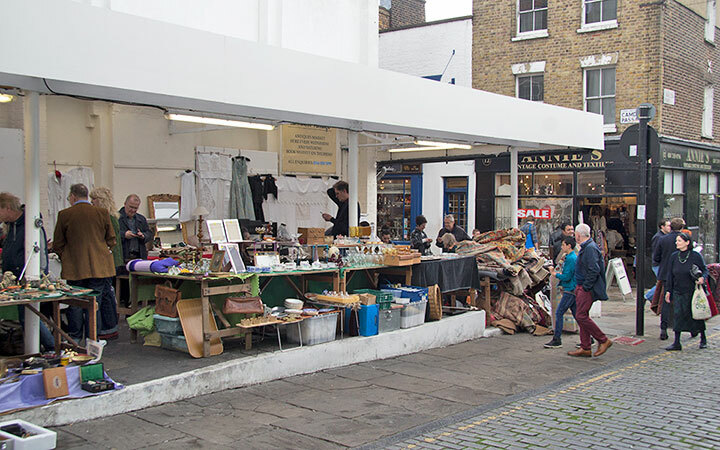 The Saturday market starts a little later, with tables out by 7am and fully occupied by 8.30am. The cost of a stall is £25.00 on Wednesdays, £30.00 on Saturdays and £20.00 on Thursdays, payable on the morning of the market. If you are unable to take your stall, once booked, a cancellation fee of £8.00 is charged, if we are notified by 4.30pm, the day before. If no such notification is given, the full rent will be charged. Please note - Applications for food stalls or non-antique and collectible stalls will not be accepted. When your enquiry has been received, you will be advised of the availability of stalls.